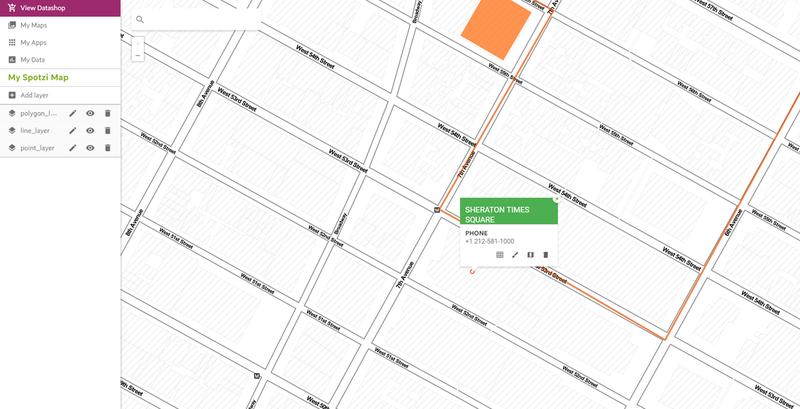 The Spotzi Mapbuilder allows you to edit data of a map feature directly in the map. In this example we want to change the phone number to +1 212-581-2000. Follow the instructions below to edit the data of a map feature. 1. 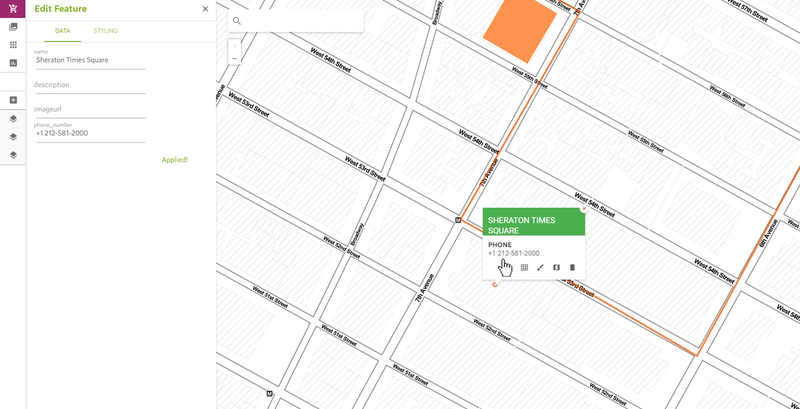 Go to one of your maps and click on the map feature of which you want to change the data. 2. A menu will open on the left side. Here you can type the new phone number. When you are done, press APPLY to confirm. 3. Great! You have successfully changed the phone number that belongs to your map feature. Remember that when you are editing your data like this, you are actually editing the dataset. 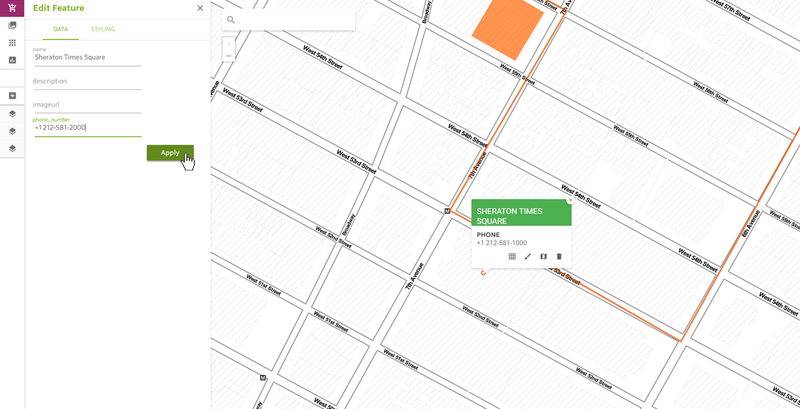 That means that if there are more maps connected to this particular dataset, the feature you have edited will have changed in the other maps as well.